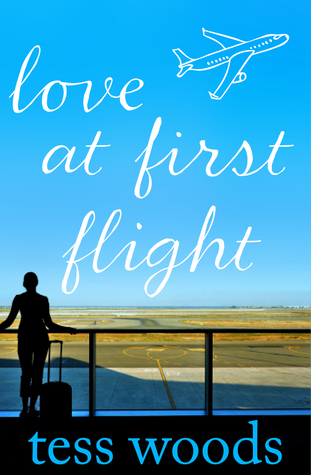 Love at First Flight is the thought provoking debut novel of Australian author, Tess Woods. To an outsider, Mel appears to have the perfect life. She has a successful career as a doctor, an attractive husband, two kids, and a beautiful house near the beach in Perth. But when she crosses paths with a handsome stranger on the way to Melbourne for a girly weekend with her best friend, she embarks on an obsessive affair which has the potential to ruin her perfect life. I’m not normally a big fan of instant love stories, however, Love at First Flight is much more than a typical ‘girl meets boy, there is some barrier keeping them from being together, but it all works at in the end’ kind of love story. The author explores the relationships and consequences of Mel’s affair in a way that allowed me to understand each and every character’s perspective. I particularly enjoyed the fact that Love at First Flight was a uniquely Australian novel without being too over the top about it. The description of Perth made me remind myself that I need to add Perth onto my list of places that I need to visit and the author clearly loves our hometown of Melbourne just as much as I do. I’m looking forward to reading Tess Woods’ next novel already!